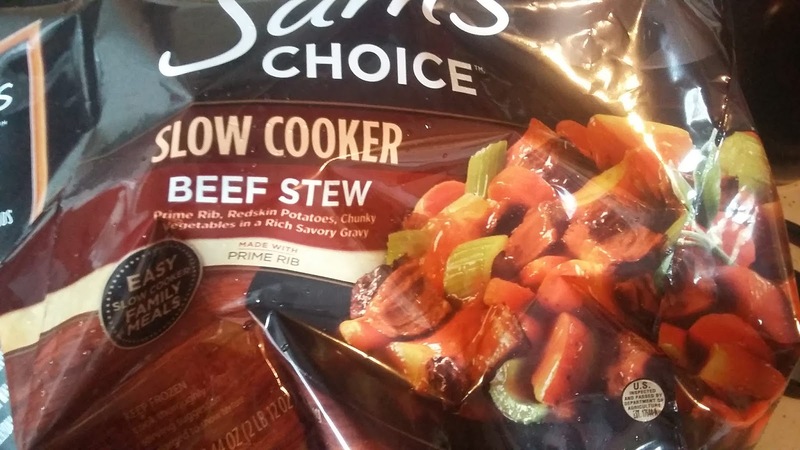 Product Description: Frozen beef stew with prime rib, potatoes and vegetables and from the Sam's Choice brand. The stew is prepared using a slow cooker. I purchased this product for $9.68 while doing some other shopping at Wal-mart yesterday afternoon and wound up making it for an evening dinner for my wife and me.